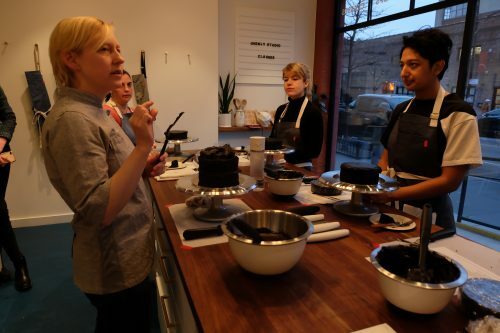 Ovenly’s in-house instructor, Dalia Jurgensen, is a formally trained pastry chef with 20+ years of teaching & pastry experience. For longtime Greenpointers, Ovenly (31 Greenpoint Ave.) needs no introduction. It’s the natural pit stop on your way over to Transmitter Park, where you can enjoy a quiet moment, and take in the scents of freshly baked sweets and treats. The bakery has a cozy neighborhood vibe that everyone loves and everything there never disappoints. When you receive their signature decadent Brooklyn Blackout cake for your birthday or special occasion, you know someone really loves you. 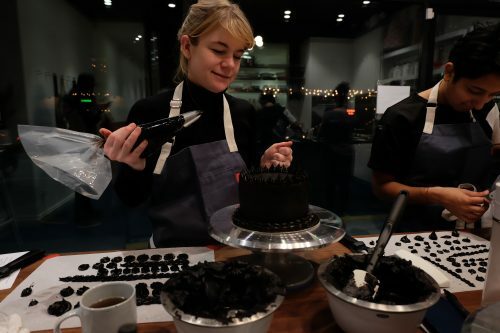 So we were so excited to learn that their much-anticipated Studio ONE54 space was launching with a debut class teaching how to decorate an Ovenly Brooklyn Blackout cake. Sign Up for FREE Rooftop Yoga at Our Flower Power Spring Market (4/7)! 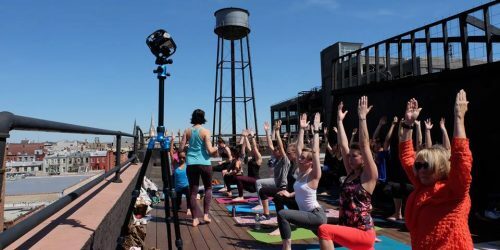 Take a yoga class on the Greenpoint Loft rooftop! After shopping with our local crafters and enjoying some neighborhood nosh at next Sunday’s Flower Power Spring Market, head up to the stunning Greenpoint Loft’s rooftop for some relaxing — and free! — yoga. 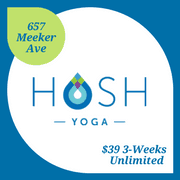 Hosted by Hosh Yoga (657 Meeker Ave), a nonprofit organization that started out providing open-level yoga classes to the public in McCarren Park, the Greenpoint Loft rooftop will host three free, donation-based classes during our spring market on April 7. 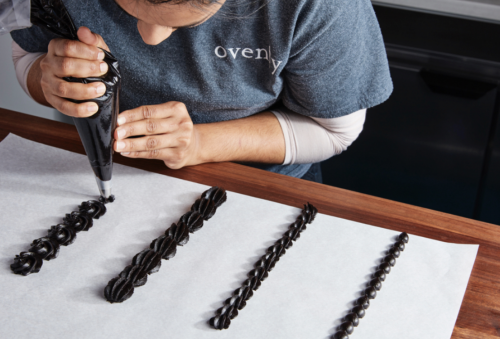 Have you walked by Ovenly’s second space at 154 Franklin St. yet and wondered what’s going on? 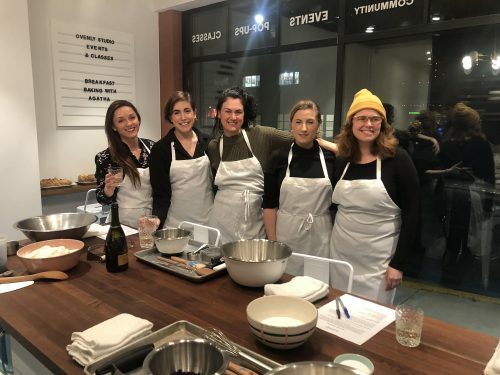 Well, here’s the scoop: They just announced the launch of Studio ONE54 and is now offering baking classes and an event space. Stressed about the holidays? Draw about it! 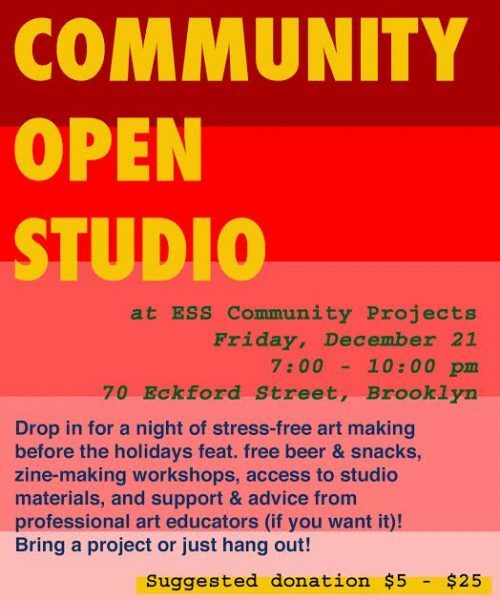 Before heading off for the holidays, bring a project you’ve been meaning to complete before the new year and meet local artists! In the mood to get your fitness on and have a good time? And, for free? Of course you are. Well, you’re in luck. 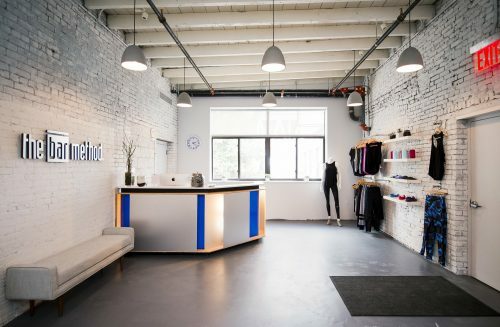 To celebrate their first birthday, The Brooklyn Bar Method on 97 North 10th Street is hosting an open house with free barre classes, sweet treats from Marcy and Myrtle, a braid bar, and a live DJ. Put on your best leggings and head over to the studio on Saturday, October 13th to learn about the studio and even score some cool prizes. The dope swag includes a facial from GLO Boutique Spa, a mani/pedi from Paintbucket, a Counting Room gift card, and more. Where are the free classes and who is eligible? Classes run at 9:30 am, 11 am, and 12:30 pm. And, you must be a new client. Classes are filled on a first come, first serve basis and you must book the free class in advance. 1) You must be a brand new client to The Bar Method Brooklyn. 2) Create a MindBody profile by clicking here. 3) Add your billing information in the My Info section. 4) Send us an email with the class time you would like to take. *Please note all new clients taking free classes are subject to our late cancel and no show policies. Plus, if you sign up for their New Client Special during the Open House, you’ll get an extra week of unlimited classes for the regular price of $99. That’s a pretty good deal! 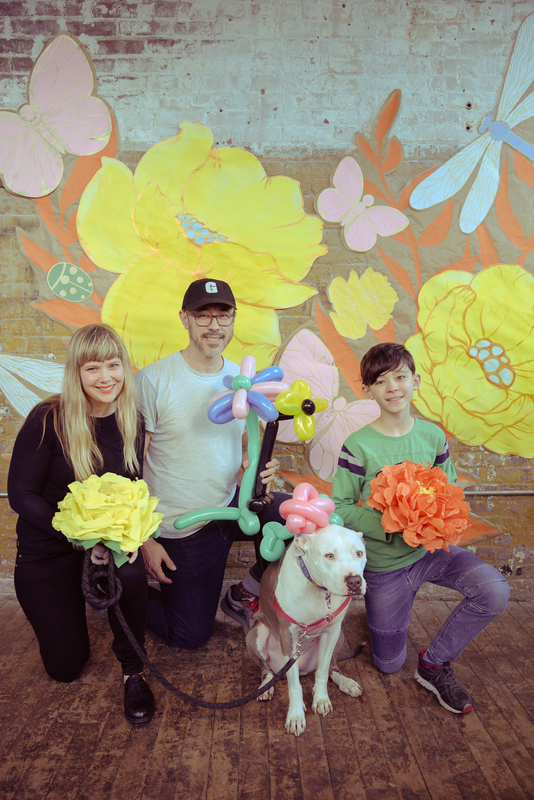 Whether you’re a local parent or a way hip aunt/uncle (or whatever title you prefer), there’s a bunch of local, fun, and creative classes for Greenpoint kidlets to explore. Check out some of our picks below. Get learning, crafting, or exploring. 1. Brooklyn Craft Company. Is there a craft kiddo in your life? Well, look no further than Brooklyn Craft Company’s ballin’ after school program. All kids benefit from hands-on engagement and tactile, experiential learning. 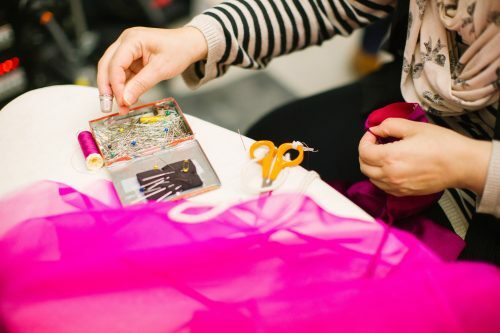 So, sign your sprog up for a sewing or fiber art class. Who knows, they’ll put a bird on something in no time. 2. Teacup Music. Music education is something sorely looked over in our contemporary school system and it’s an artistic outlet that has one of the most profound effects on kids. With Concetta at Teacup Music, kids can learn the art of the violin and gain priceless life skills. The class costs $660 a semester (12 sessions) and includes a recital and instrument rental. 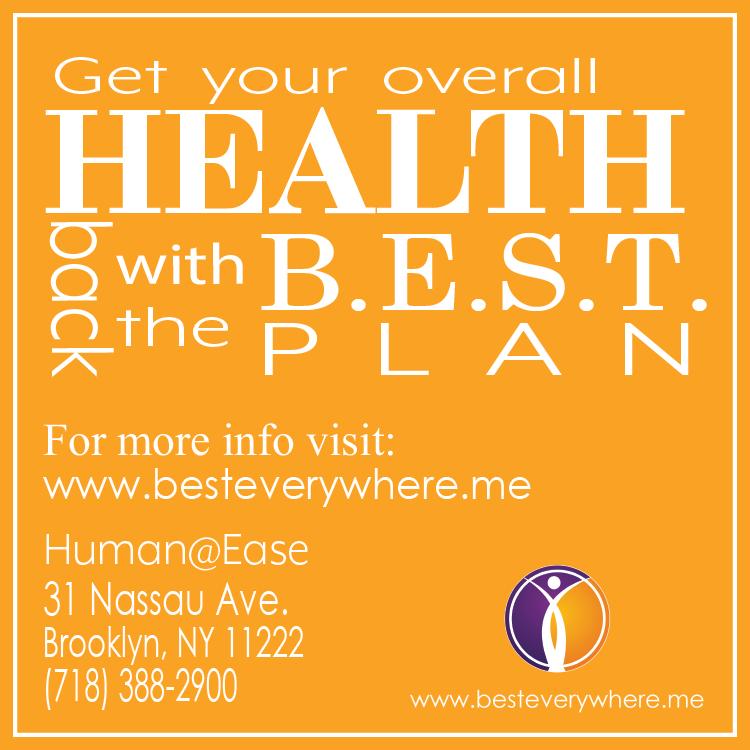 Pick up on Wednesdays from PS 110 is also available. 3. Fairy School. Every kid benefits from having more magic and joy in their life. Children will learn and engage with a “curriculum of healing arts, creative play, and studies in ecological awareness.” That sounds pretty damn neat to me. If anything, I’d love to enroll in fairy school for myself. Adults need magic, too. A full 9 week term costs $360 (plus $20 supply/snack fee). Fairy School will return in Spring 2019. 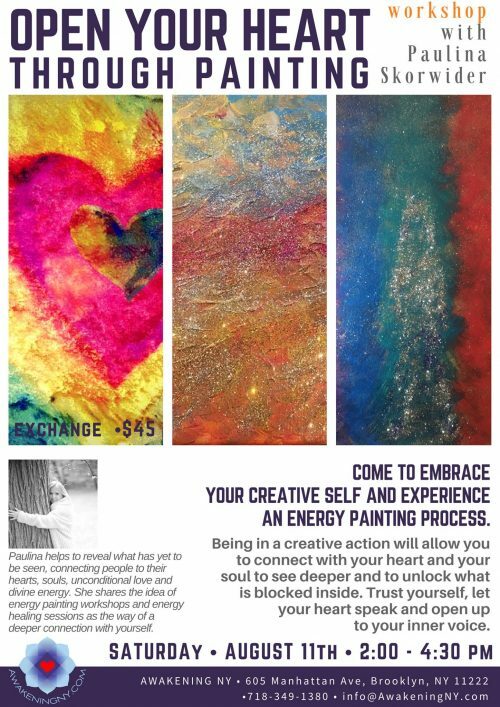 There’s an “energy painting” class coming to Greenpoint next Saturday, and it “will allow you to connect with your heart and your soul.” The afternoon class at Awakening (605 Manhattan Ave) starts with a guided meditation to help you tap into your inner voice, and afterward will transition into freeform painting. It’s open to all levels, even if you’ve never painted before—so if you are looking to express yourself through art without judgement and put your brain into cruise control for a bit, this may be the class for you. “By listening to your inner voice paint what you hear/see, and release and unfold anything what will show up for you.” Artist Paulina Skorwider will host, and materials (canvas and acrylic paints) are included. Details below. There’s a handful of figure drawing classes in North Brooklyn, but these two upcoming classes focus on bringing elements of the outdoors into your sketchbook. Both classes are held outdoors, and they’re both FREE! Drawing plants is a wonderful tool for closer observation of the natural world. 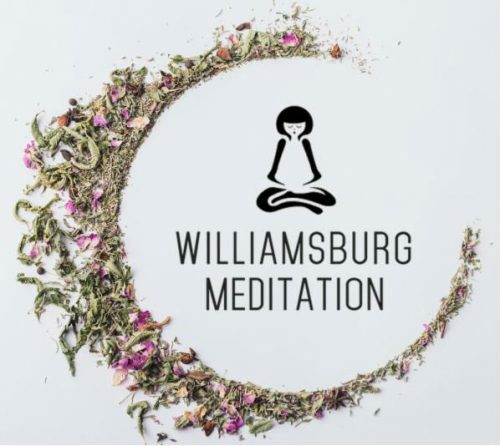 Join naturalist Gabriel Willow on a journey through the Kingsland Wildflowers rooftop landscape, observing & drawing various plants and flowers as you deepen your connection to nature. No drawing experience required; materials provided. Greening Greenpoint will be hosting a workshop with professional botanical artist Wendy Hollender. 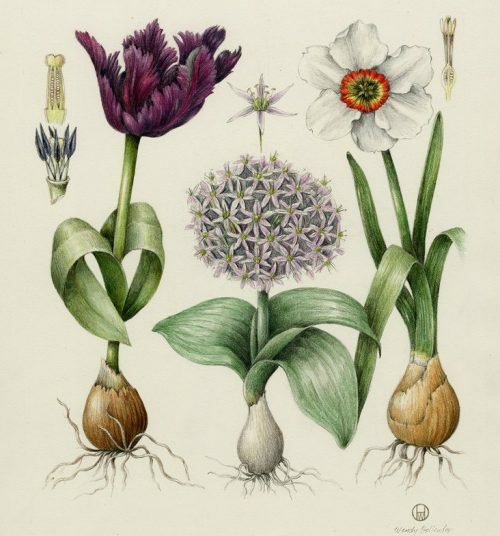 Wendy will lead a botanical illustration and plant biology lesson and all art supplies will be provided. 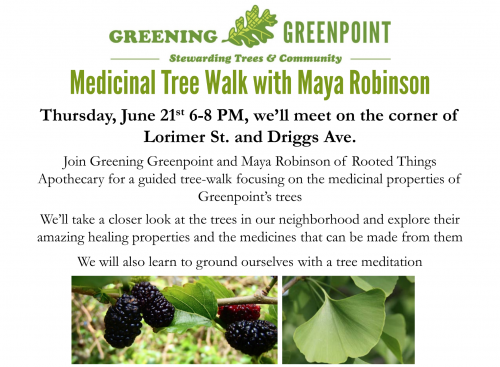 Greening Greenpoint and Maya Robinson of Rooted Things Apothecary will be hosting a Guided Tree Walk in McCarren Park on Thursday evening, June 21st, to help people discover the medicinal uses for Greenpoint’s trees (there are surprisingly many!) and participate in a grounding tree meditation. On the walk, you’ll get to examine everyday street trees around the neighborhood, and learn about their healing properties and the medicines that can be made from them. The workshop meets at the corner of Lorimer and Driggs at 6pm on Thursday, June 21st.